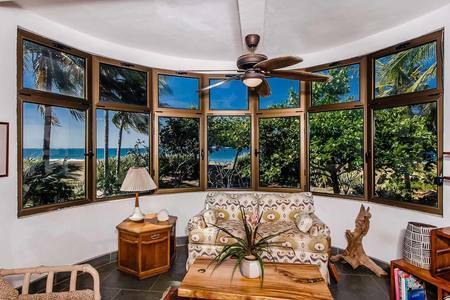 Titled Beach Front House at an INCREDIBLE price! 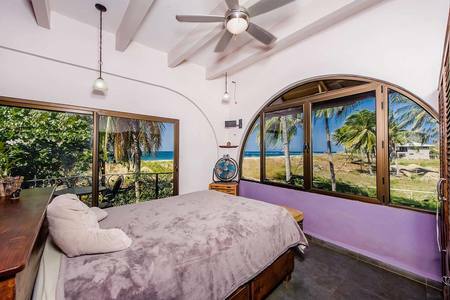 Sitting right on the Pacific Ocean, this luxury home is located on a beautiful section of the spectacular beach of Playa Junquillal... Here you will find miles of an almost private beach just to share between you and a couple neighbors. 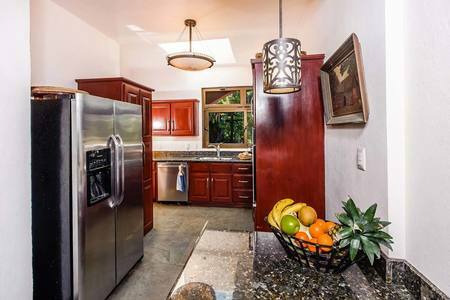 The property has a total of 2 bedrooms including a private fully equipped/self-efficient casita at the entrance of the property. The are two bedrooms in the main house, one on the first floor of the house and the master bedroom on the second floor. 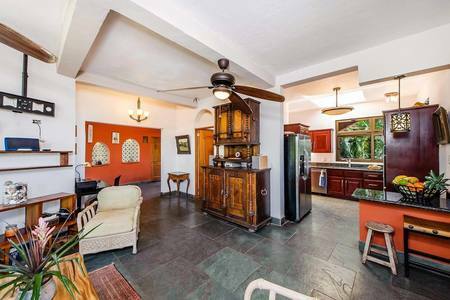 The second floor has the master bedroom, master bath. living area, kitchen and entry way which is all enclosed. The Master bedroom has it's own terrace which is great for morning coffee of later night star gazing. 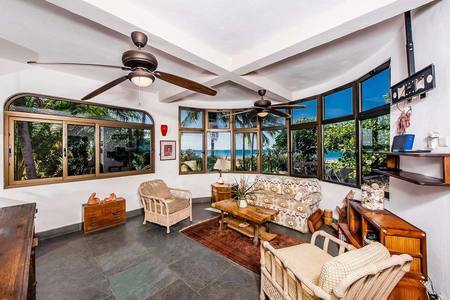 The entire second floor captures the stunning ocean views, the living area is surrounded by a wall of windows which really focuses your attention to the Pacific Ocean. 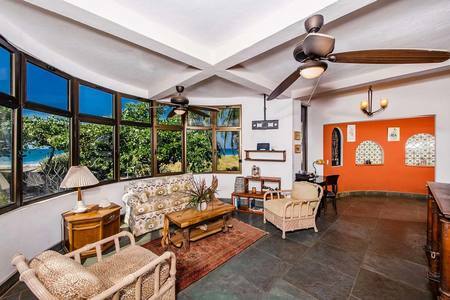 The first floor of the main house has a small cooking area, storage bodega, bedroom with full bath, open room and one full bath all which overlooks the beautiful custom pool. 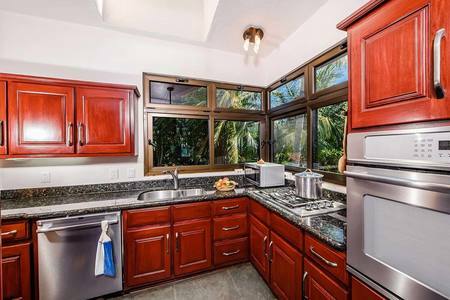 The kitchen is modern and is well equipped with newer appliances, the cabinets are beautiful and have granite tops. In addition, the house has an amazing roof top looking deck looking right into waves of the ocean and it's an amazing place to watch and share sunsets with friends. The rooftop deck also has a BBQ área, a jacuzzi tub and plenty of sitting space which makes it perfect for taking in the incredible ocean views, amazing sunsets and star gazing at night! 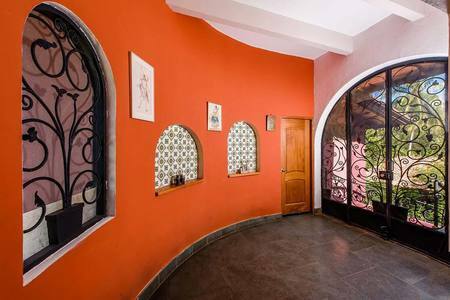 The lush tropical landscape ties in the gated entry, casita/guest house and the main house and pool, from star to end this property will bring you a very peaceful vibe. The property is fully titled, no concesion... And it is priced to sell! 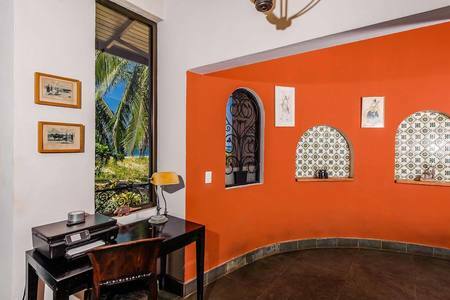 It may be difficult to find another property like this one on the Costa Rican coast!